Apple’s new iPhone XR‘Super Retina displays — much like other screen panels — don’t last forever, and are hardly resistant to casual, everyday abuse. They seem to accrue scratches just from sitting in our jean pockets, or by sitting on the nightstand charging. That’s why we love screen protectors so much — apply a screen protector your iPhone XR, and it’ll protect the display itself from accruing scratches and nicks. As an added bonus, this protects the phone’s resale value! Not sure which iPhone XR screen protector to pick up? Follow along below and see some of our favorites! Let’s dive right in. Spigen is a reputable phone accessory brand on the market, offering all sorts of products for the iPhone XR and a variety of other devices as well. 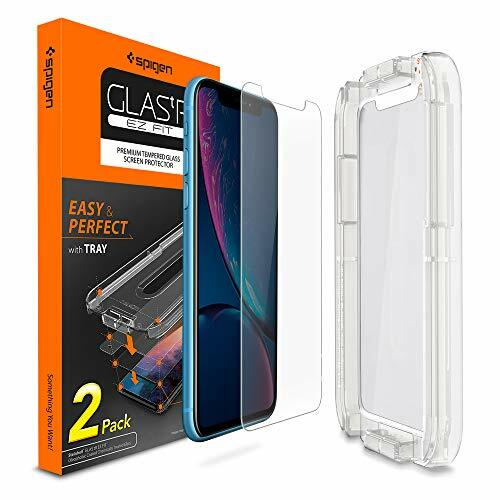 One of the most important phone accessories that they offer is the Spigen Tempered Glass protector. If you’re looking for top protection for your iPhone XR, this one will ensure that your screen stays scratch-free. This option from Spigen has some really good materials built into it, providing you with long-lasting protection. You shouldn’t have to buy another protector for some time. Spigen actually makes it easy for even the layman to attach the screen protector to their phone. You don’t need an expert or someone familiar with these things to attach it. Spigen calls it an “innovative, auto-alignment installation kit for effortless application.” You’ll apply your tempered glass protector on your own, the right way every time! Just set the protector in the frame, place over your phone, and you’re ready to roll. The protector itself has a 9H hardness rating, so there isn’t much that this one can’t handle. 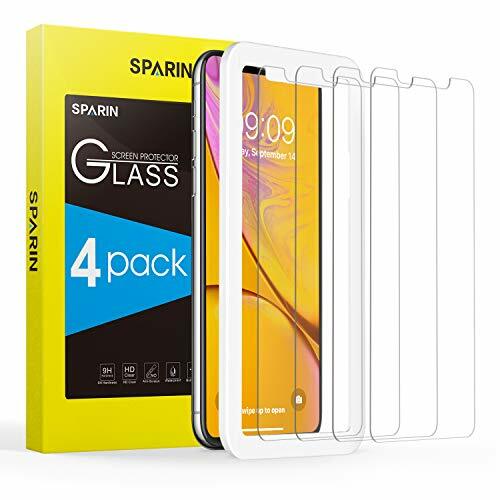 The large majority of Spigen’s screen protectors are made case-compatible, so if you have an existing phone case, this protector should have no problem being compatible with it. Spigen’s Tempered Glass Protector package gives you two iPhone XR screen protectors, and it of course, has the cut outs for the Face ID notch. 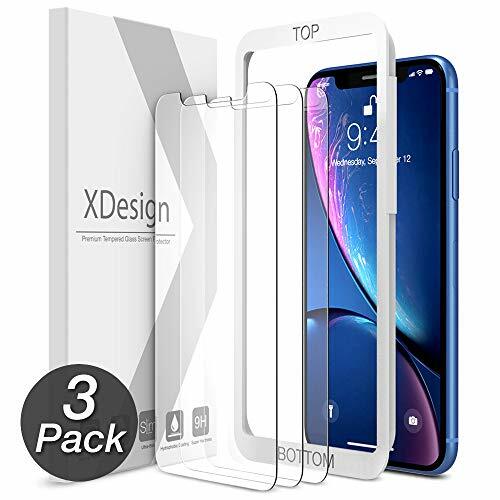 The first screen protector that we’re looking at, and sitting in first place, we have the MaxBoost iPhone XR Tempered Glass Protector. Place this screen protector on your iPhone XR, and you’ll get the maximum protection against scratches and everyday nicks — tempered glass is one of the best materials out there for absorbing damage. On top of that, tempered glass protectors are actually self-healing, so over time, those scratches will disappear off of the protector as well. There’s a lot of value in this package, getting you three protectors — mess up the application and you’ll have two others you can rely on. They’re great replacements when the original gets old, too. It has a 99.99% transparency rating, so you don’t lose the clarity from that beautiful Super Retina display. 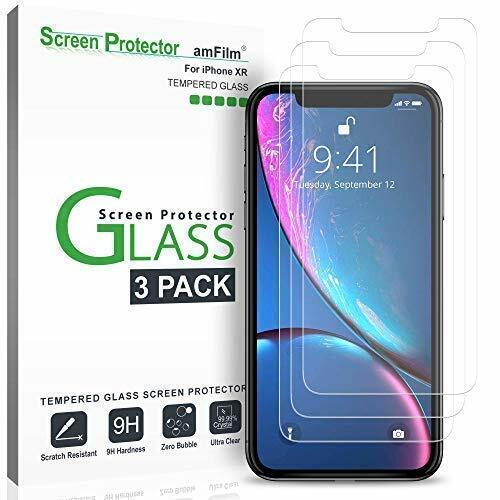 amFilm is up next, and actually has an excellent screen protector for the iPhone XR. This one is actually optimal for those that are looking to get a little more value for money out of their screen protector. 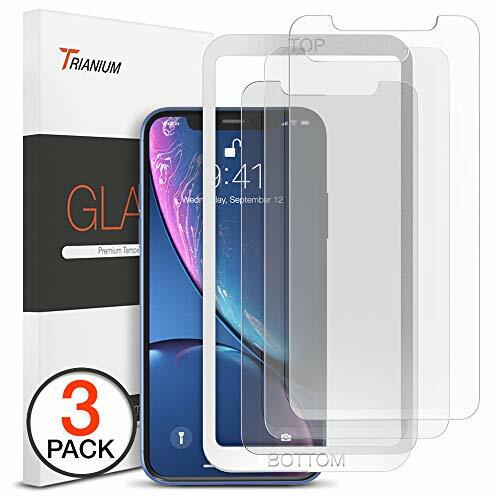 The package actually comes with three tempered glass screen protectors, giving you plenty of replacement choices. These are designed for the iPhone XR, and actually don’t add a whole lot of thickness to the phone — amFilm says they aren’t any thicker than a couple of pieces of paper. 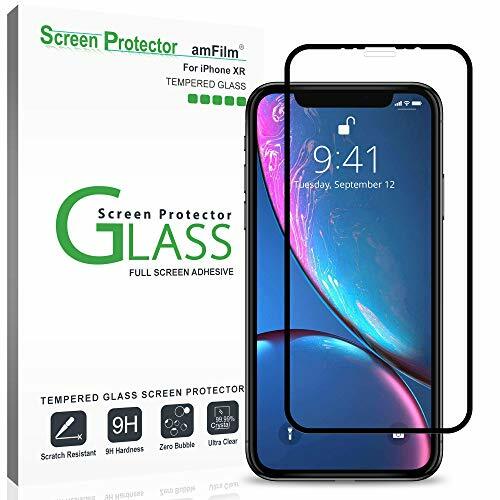 amFilm has also designed these to work well with existing phone cases — so you shouldn’t notice any peeling or have trouble fitting your case on the phone after screen protector application. This one is highly durable, scratch resistant, and has that 9H hardness rating for top protection. Trianium’s iPhone XR Screen Protector comes up next on our countdown. 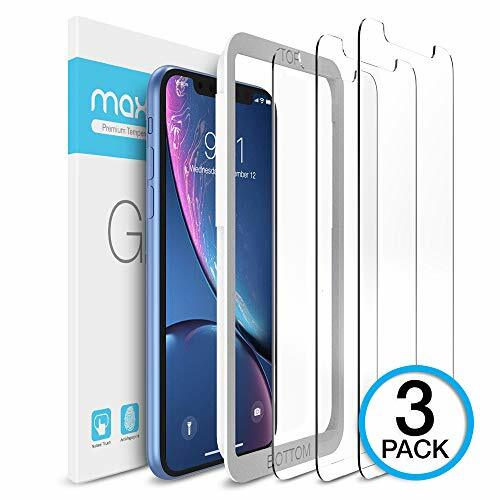 This is yet another tempered glass screen protector, so you know that you’re going to get the maximum amount of protection against everyday damage. Daily abuse like scratches and nicks won’t harm your screen at all — it’ll look brand new when you eventually pull the protector off again. And that’s great news for resale value when you’re ready to upgrade your iPhone XR! Next, we have this great option from SPARIN. The value for money is actually really good in this package, with four protectors in the package. You can’t get much cheaper than that as far as practical phone insurance goes! Not only that, but they have an industry leading hardness rating of 9H, so you’re getting the maximum protection for your display. And with a 99.9% transparency rating, you won’t lose any of that Retina screen clarity with this protector on. There’s little thickness added to your phone as well. Now we’re looking at XDesign’s very own Glass Screen Protector for the iPhone XR phone. This one also has a 9H tempered glass rating, which will keep your iPhone XR’s screen free from scratches, nicks, and everyday damage without a hitch. This one does have a fairly unique application process, but that’s so that you get a perfect application every time. You won’t have trouble with features like 3D Touch with this applied. Much like the others, this does have a 99.9% transparency rating as well. 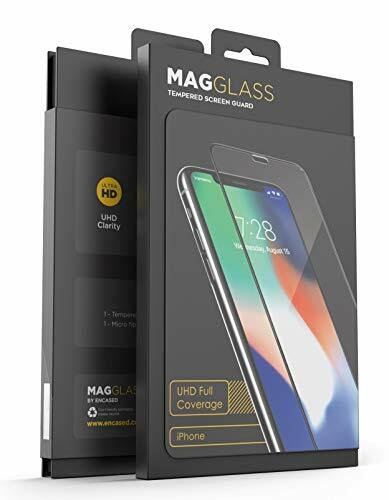 The MagGlass iPhone XR screen protector comes up as one of our favorites. This one, just like the others on our list, will still offer you ample protection against scratches and every day damage — you can say goodbye to nicks and scratches forever. It has a 99.9% transparency rating, so you won’t see a diminished screen quality. With edge to edge protection, your iPhone XR’s entire front body will be protected. The one downside to this one is that for one screen protector — there aren’t multiples in a package. Apple iPhone XR is their hottest device right off the presses, launching a little while after their flagships — the iPhone XS and iPhone XS Max. It’s marketed towards the “budget’ crowd, but it still has some excellent technology packed inside of it. One of those elements is the beautiful Super Retina display — you just cannot beat the clarity and detail that it offers. Here we’ve shown you all of the best screen protectors that you can pick up for the iPhone XR smartphone. Any one of these will do an excellent job at protecting you against the daily abuse that we tend to put our smartphone through. However, while the traditional plastic film is cheaper and a decent deterrent against scratches and nicks, you might consider getting one of the tempered glass options, as they tend to last a bit longer and offer tougher protection. Do you have a favorite screen protector for the iPhone XR? Let us know what it is in the comments section below!